This contemporary narrow lot duplex features an open living area and three bedrooms all in a compact design. The width of the building is 20'-0" at the foundation with two 1'-0" cantilevers on the second floor for a width of 22'-0". 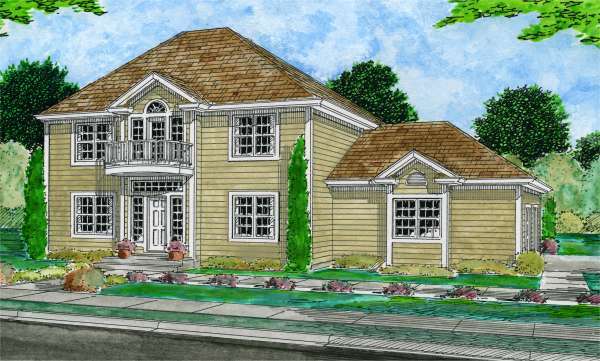 For multiple duplex projects an alternate exterior plan is available. Main Floor Area per unit is 546.5 sq.ft., Second Floor Area per unit is 559.5 sq. ft. Finished area of entire building is Main Fl. 1093 sq. ft. plus Second Fl. 1119 sq. ft. for a total finished area of 2212 sq. ft.